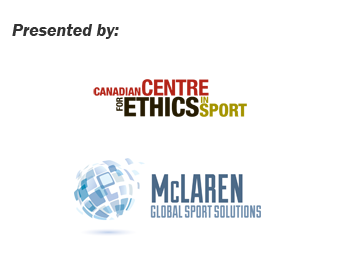 The CCES is an independent, national, not-for-profit organization with a responsibility to administer the Canadian Anti-Doping Program. We recognize that true sport can make a great difference for individuals, communities and our country. The CCES acknowledges funding, in part, from the Government of Canada. We are committed to working collaboratively to activate a values-based and principle-driven sport system; protecting the integrity of sport from the negative forces of doping and other unethical threats; and advocating for sport that is fair, safe and open to everyone. MGSS ensures leading industry solutions and best practices to sports clients specifically focused on implementing strong sport management infrastructure. MGSS is a highly specialized sport consulting firm focused on mitigating risks related to ethics and governance within organizations. Our mission is to help sports organizations protect and enhance their brand, navigate difficult organizational issues related to ethics, governance and integrity, and inform strategic business decisions.